If you are like me, then you like kitchen tips and hacks that makes cooking easier. 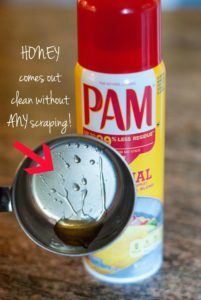 PAM Cooking Spray is a great product that can help with every situation in the kitchen from grilling to baking & beyond because PAM leaves 99% less residue than margarine or bargain-brand cooking sprays. 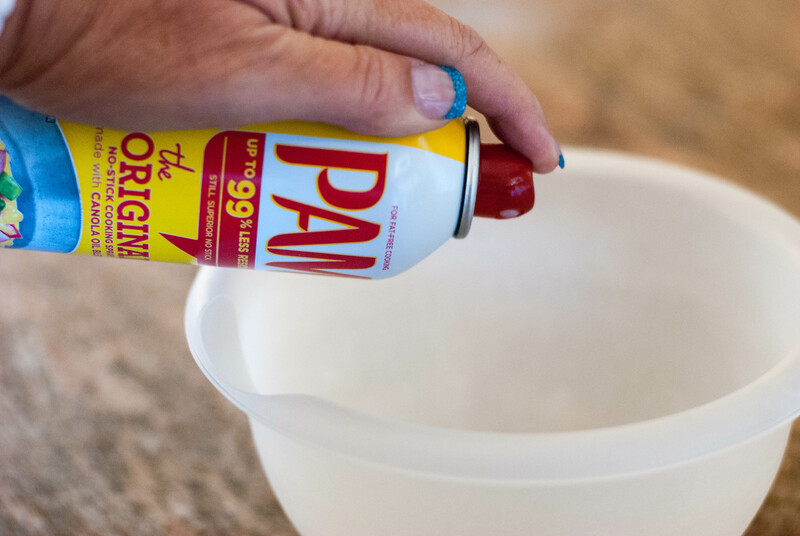 Today I am sharing four of my favorite kitchen hacks using this versatile spray. Make sure that you read all the way to the end to see the video of my last tip! I use my cookie scoop when making cookies but before placing the scooper into the cookie dough, I spray the inside of my cookie scooper with PAM Cooking Spray. The cookie dough comes out much better and there isn’t any residue left over that will start to clog up the scooper. If your recipe calls for a sticky ingredient like honey, corn syrup or peanut butter you are going to love this tip! Before measuring a sticky substance, spray your measuring cups with PAM Cooking Spray. Your sticky ingredient will slide out making the cleanup so much easier. Just look at the honey in this measuring cup! In past I have had some plastic bowls that if I put a tomato based sauce like spaghetti sauce into them, it stains the bowl. 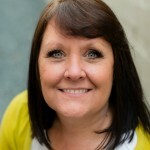 PAM Cooking Spray to the rescue! 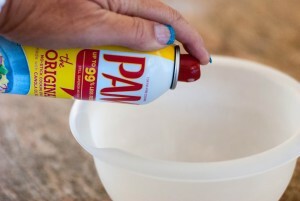 I now spray my plastic bowl before putting in a spaghetti sauce and my bowls aren’t stained. I love this tip! PAM Cooking Spray is great for this last tip. 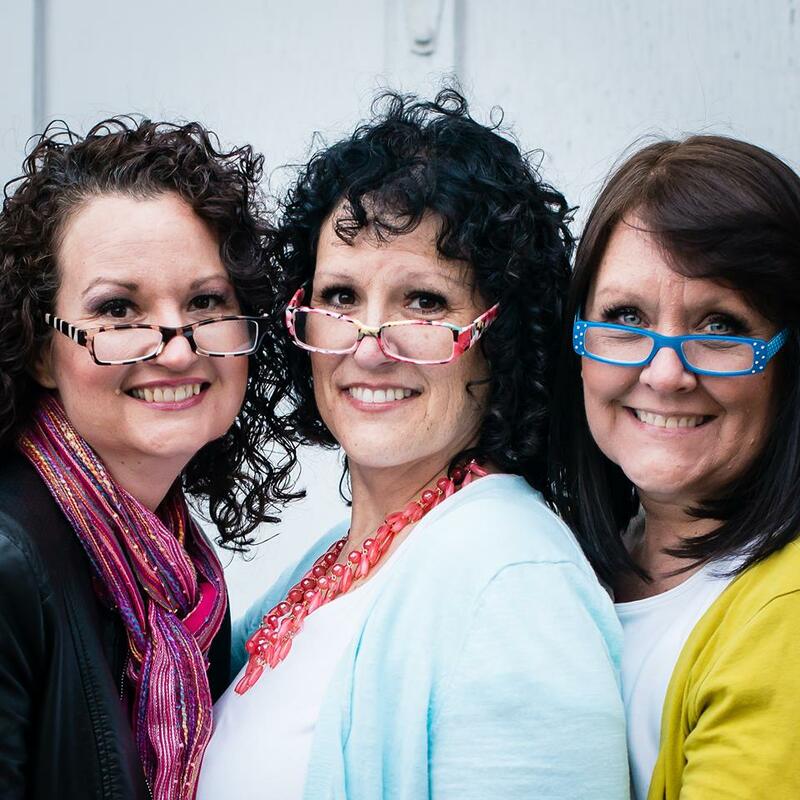 Check out the video to see how I use it! As you can see, PAM Cooking Spray can make your life in your kitchen easier. I hope that you enjoy these hacks and I would love to hear if you try one! 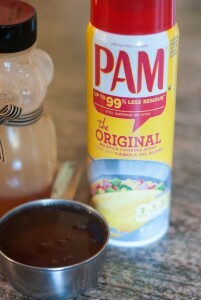 For recipes and more cooking tips, follow PAM Cooking Spray on Facebook and Pinterest, or visit pamcookingspray.com.